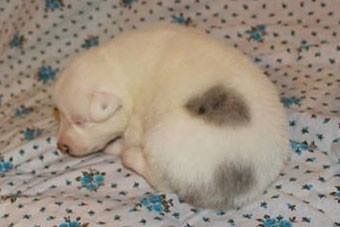 This Australian Shepherd puppy's father is a black-tri; mother is a blue merle. What would cause this dog to have so much white color? Are there any general explanations as to why this might happen in nature? Other examples of this kind would also be greatly appreciated.